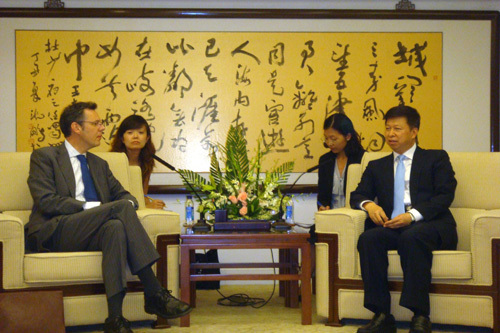 On July 27, 2010, Vice Foreign Minister Song Tao met with the British delegation headed by director of immigration agency of the Foreign & Commonwealth Office (FCO) Jones who was attending the fourth assessment of the Implementation Rules of the Memorandum of Understanding on Facilitating Legitimate Travel and Combating Illegal Immigration between the two countries in Beijing. Both sides made positive comments on the bilateral relations as well as consular and immigration cooperation. They expressed satisfaction with the enforcement of the implementation rules and willingness of making joint efforts to continue to promote and facilitate legal travel and push forward the development of China-UK all-round strategic partnership. Prior to the meeting, the Chinese and British delegations held frank and practical talks and achieved positive results.